Probably more than any other time in history, our pets are considered to be part of our family. For many, being able to provide our furry family members with pet medication customized for their individual needs is vital. Do you have trouble getting your cat to take a pill? Cats are crafty and can thwart our best efforts to disguise a pill into their food. Have you tried this only to have the cat eat around the pill? I sure have. What if there was a pharmacy that could create a special liquid medication that tasted like something all cats love: tuna! A compounding pharmacy can do that and more. Imagine how much easier on owner and feline to treat with a veterinary medication made just for them. When your veterinarian needs to prescribe a medicine for your dog, the pills often come in only one strength. But does a Great Dane and a Chihuahua need the same amount of medication? Of course not. Yet splitting a pill into tiny parts for small dogs, even when using a pill splitter is messy and imprecise. It can easily result in giving the pet an inexact dosage that could delay their recovery. A compounding pharmacy can convert the prescribed veterinary medication into a pill that’s just the right dosage for your pet. They can even make it into a bacon or peanut butter flavored liquid you can squirt into their mouth or onto their food. Yum! Dogs will sit up and beg for their meds. Working with a veterinarian, a compounding pharmacy creates custom veterinary medications that take the trauma out of medicating pets. 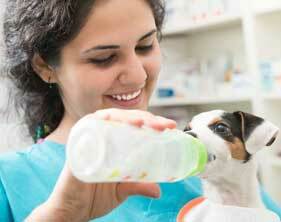 Non-active ingredients that pets may be allergic to can be omitted. Dosage, flavor and consistency can be adjusted. A compounding pharmacy makes veterinary medication that vets can to prescribe medicine to client animals of all species knowing the animal will happily devour it. No more disgruntled and frustrated owners. No more traumatized pets. If a pet has been on a medication that worked well for them but the manufacturer discontinues it, what do you do? Trying alternate medications can be time consuming and produce less satisfactory results than the original drug. At the request of a veterinarian, a compounding pharmacy can solve this dilemma by individually creating the discontinued medication at the correct dosage level for any pet. Irvine Compounding Pharmacy helps veterinarians solve the dosing and administration problems associated with keeping pets of all species in good health. Make medicating your pets less traumatic for everyone by providing them with quality custom veterinary medication to meet their individual needs. Conveniently located in Irvine’s Woodbridge Village Shopping Center, Irvine Compounding Pharmacy is the main compounding pharmacy center serving Orange County. 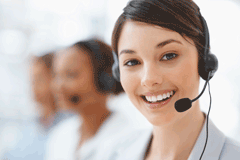 Call us at (949) 528-6888 or fill out the contact form to the right. We are your custom medication specialist.